Although I used retired paper (sorry but I love it), I used current stamps. 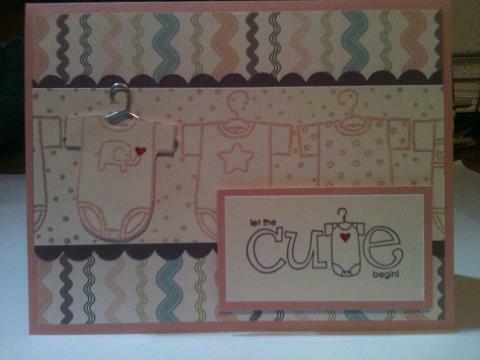 The "Let the Cute Begin" stamp comes from the Best of "Babies and Brides" May set. Come back tomorrow for a really fun and summery project!